The Multi Award winning Mozart is our entry level interconnect designed to replace the now finished Chopin Classic. Mozart does this more than capably, keeping the lively musical presentation of the Chopin Classic and adding a quieter background noise thanks to its built in interference rejection. Mozart is constructed using 4 x Twisted HCT OFC Copper Conductors. The conductors are arranged in an alternating configuration to provide RF & EM rejection. Mozart is also screened with CCS conductive carbon screen to ensure no unwanted interference is picked up behind your system. The FE Filter Edition has all the performance of the regular Mozart but with improved RF and EM filtering due to the fitment of Duel NAS filters. They said “Despite undercutting the double Award Winning Atlas Equator by £8 the Merlin uses some impressive technology. The multiple solid core construction is designed to blend the advantages of solid core (clarity & focus) the multi-strand (weight & power). It might sound bonkers, but it works, with the Merlin producing a supremely fast, dynamic, detailed and balanced delivery that’s unbeatable at the price. On its first outing to the press the Mozart really impressed! What Hi-Fi Magazine awarded it their highest 5 Star Accolade and said… “The Mozart has impressive technology for the money!” They also went on to say… “How does the Mozart Sound? It’s fast, dynamic and tonally balanced enough to sound at home in most systems. The level of resolution is impressive considering the price and the cables impressive blend of talents means it’s as at home with the likes of Eminem as it is Shostakovich. The Mozart sets our world alight, at this price it’s a steal.” Their Verdict read… “The Mozart is a great cable for the money. It’s an excellent all rounder that should work well in a wide range of systems. 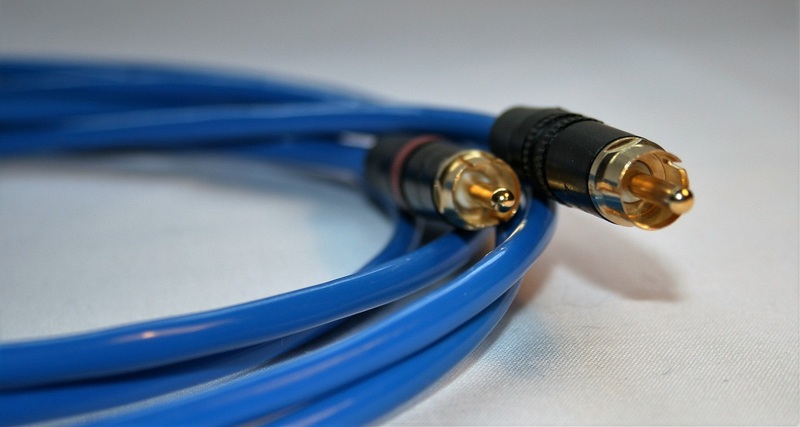 These cables are fitted with Neutrik Low Mass Gold Plated RCA Plugs for a high quality connection. Mozart is only available as an RCA cable. Standard Lengths and terminations are listed below but any cable can be made as a special order. If the length or termination you require is not listed below please email or call our sales line. This cable is supplied as a stereo pair of cables. Please email for mono run enquires.